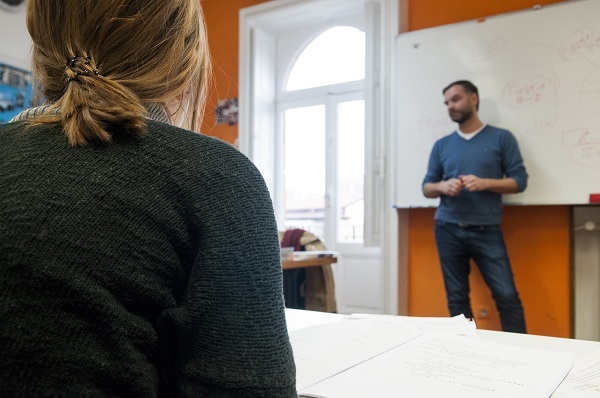 Instituto Hemingway encourages you to take your SIELE language certificate exam here in our centre in Bilbao. 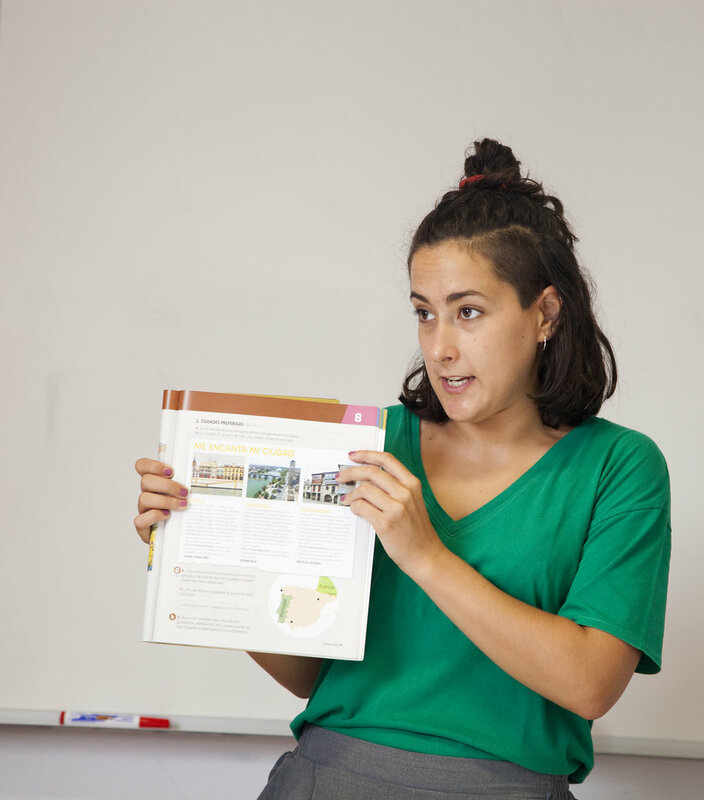 Directed at both students and teachers, SIELE, standing for ‘Servicio Internacional de Evaluación de la Lengua Española’, is a service that digitally evaluates and certifies Spanish language skills across five continents. SIELE is promoted by institutions such as Instituto Cervantes, the Universidad Nacional Autónoma de México, the Universidad de Salamanca and the Universidad de Buenos Aires, and guarantees a high quality of tests while taking into account the linguistic variations of the Hispanic world. Instituto Hemingway is one of 25 SIELE exam centres in Spain, selected to manage and monitor SIELE exams in Bilbao. SIELE grades your standard of Spanish through four tests that evaluate different linguistic skills: Reading comprehension, Listening comprehension, Written exam and an Oral exam; and the scoring corresponds with the European Council's Common European Framework of Reference for Languages (CEFR). SIELE is the first certified digital Spanish tester, with international recommendation and a scoring system that corresponds with the European Council's Common European Framework of Reference for Languages (CEFR). It’s a quick and easy way to demonstrate your level of Spanish. For more information on the format and characteristics of the exams and also to register, please visit: SIELE. SIELE Global consists of 4 tests that correspond with the four main communicative language activities. It is three hours long and is marked out of 1000 points (each test having a maximum of 250 points). Questions made up of texts that should be answered by selecting the correct options. Spoken questions that must be answered by selecting the correct options. Written questions that must be answered in writing. Written and spoken questions answered orally and recorded. Furthermore, there are four other formats of exams that combine specific tests. A report that internationally credits your level of understanding of the Spanish language. A report that internationally credits your level of reading and writing comprehension of the Spanish language. A report that internationally credits your level of listening and oral comprehension of the Spanish language. A report that internationally credits your level of oral expression of the Spanish language. After completing SIELE’s independent formats, you receive a certificate which is valid for up to two years, including your score obtained in the test(s) corresponding with the levels of the Common European Framework of Reference for Languages (CEFR). Instituto Hemingway often hosts SIELE exams in Bilbao. We make monthly announcements directed at students that study Spanish and want to grade their linguistic level of Spanish. We publish the confirmed dates of the exams on the news section of our website, social media and, of course, the official SIELE website where you can register and pay for the exams. The exam is open to anyone who studies Spanish that wants to take the SIELE exam in Bilbao. If you live in Bilbao or you want to come and study Spanish with us, you now have the opportunity to take the exam stress free without worrying about travel. You can do the exam in our classroom here in Bilbao. Remember, we offer specific Spanish courses that help prepare you for SIELE and DELE. We offer courses in which we tackle questions that are tailor-made to prepare you for the exams and we consider strategies in order to help you do as well as possible. An advantage of SIELE is that you can register the level that you reached quickly, at whatever time, and whatever the level.